Are you ready for autumn? 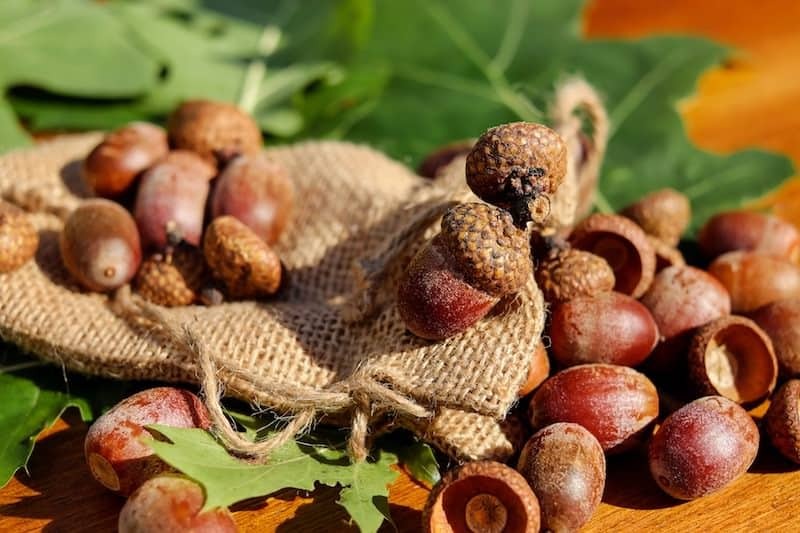 Learn how to dry acorns for your fall projects! Prevent worms and find out how to preserve the acorns for decor. 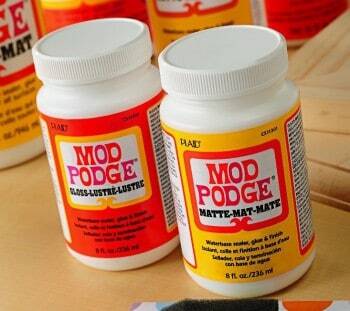 When fall comes around, I'm ready to go outside and start harvesting natural materials for craft projects. 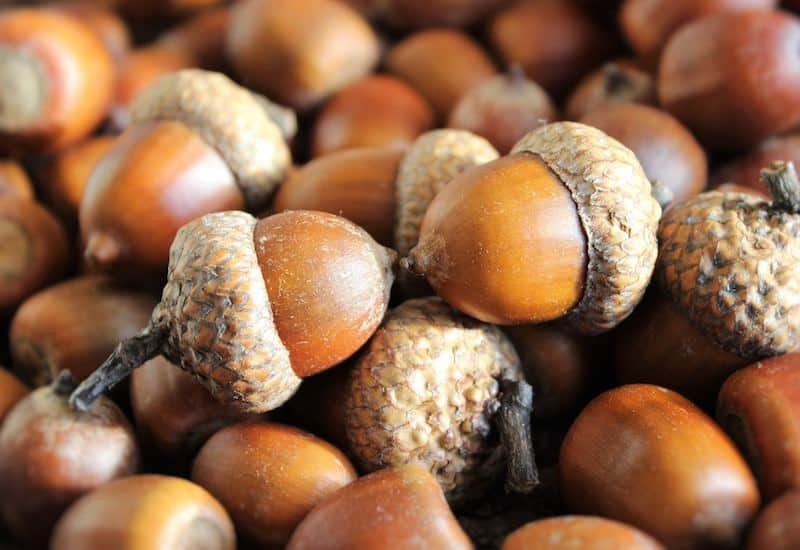 One of my favorite things to find are those big, fat acorns that come from majestic oak trees. In fact, one year I painted them (in my article how to paint acorns for fall). But what I didn't realize is that you have to dry them or beasties – i.e. weevil larvae – will crawl out of them. 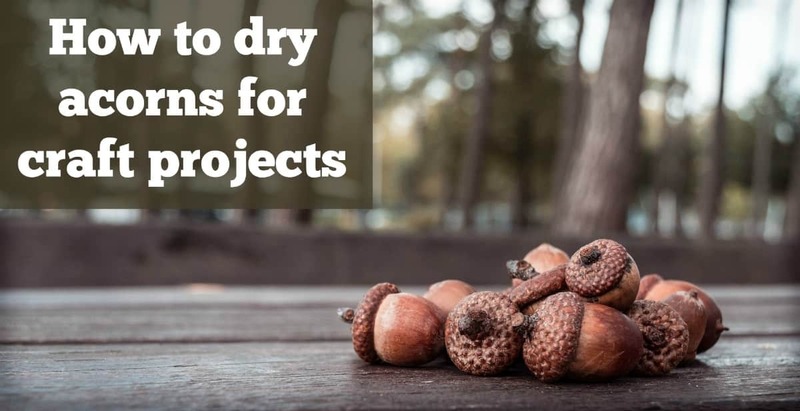 I'm going to show you how to dry acorns for craft projects so that you never have to be grossed out by acorn beasties again. What I didn't know – the reason that the acorns you collect on the ground are the worm-y ones is because the squirrels leave them behind. Of course they do. Squirrels are smart and can figure out to how to eat from the most complicated bird feeder. So they're going to leave the nasty worm nuts behind. The good news is the weevil larvae can't hurt you. They don't bite and they won't ruin anything in your home if one gets out. However, you don't want to have to deal with them, so you'll want to dry them first before crafting with them. 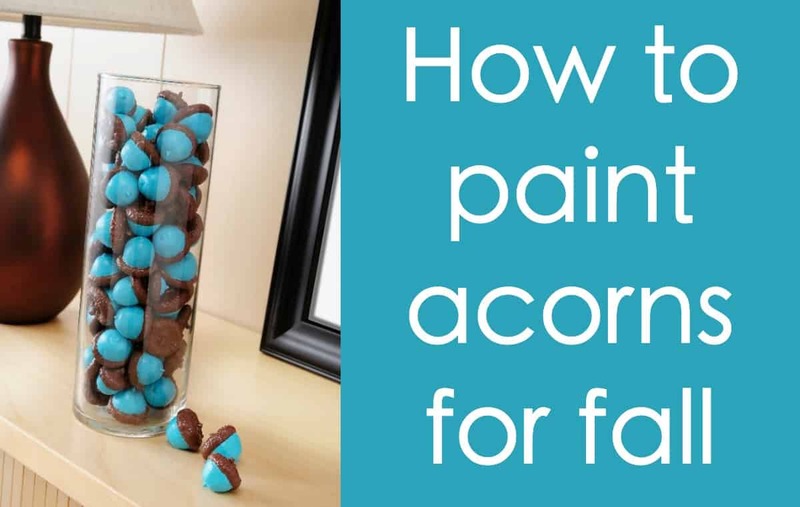 Learn how to dry acorns below! Step One: after harvesting your acorns, put them in a bowl of water to soak or a colander and rinse them. You might want to use an old toothbrush to scrub off any debris, if you have one. Otherwise soaking them in a bowl will remove most of the dirt. Step Two: Spread them on a towel to dry for at least an hour. If any of the nuts look gross after washing and drying, throw them. away. You might see some acorns with small holes. This is a sign of insects, but drying the acorns will kill them so don't worry! Step Three: Preheat your oven to the lowest setting F – mine is 200º so that's what I did. 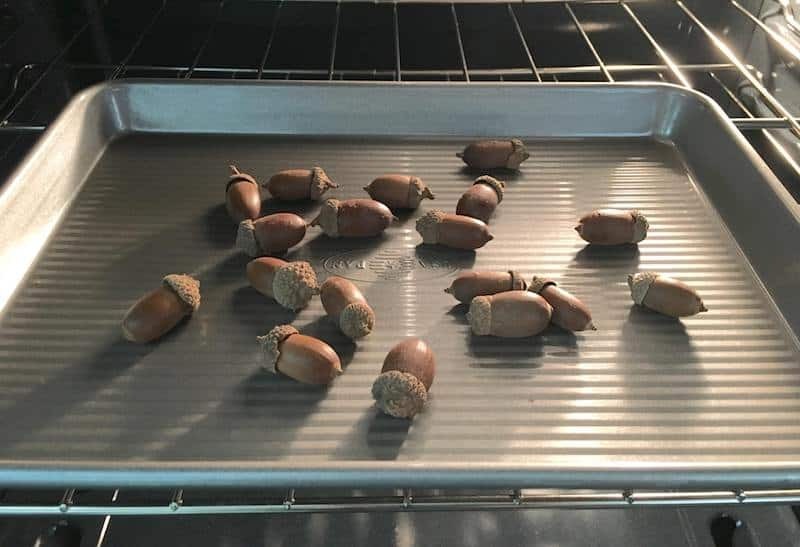 Lay the acorns in a single layer on a cookie sheet. You'll want to use a cookie sheet with a lip so none of the acorns roll off. Place the acorns in the oven on the cookie sheet and leave the door cracked slightly so that moisture can escape. Step Four: Check on the acorns every 30 minutes and roll them around a bit. If you see any acorns starting to brown too much, turn the oven off and leave the acorns in there. They will still “cook.” You'll want to leave the acorns in the oven for about 1.5 – 2 hours. Step Five: Remove the acorns from the oven and let cool. Throw away any that burned. Now you know how to dry acorns and you can use them in all of your craft projects! Now, if you want to preserve the acorns, you don't *have* to do this as they will last a long time just being dried out. 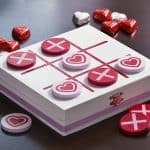 However, if you want to make sure they last for years and years and never fall apart, I recommend giving them a quick spray with a clear acrylic sealer. Blast them, let dry, turn them over, and repeat. That's about all you need to do! 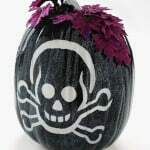 Great tutorial for saving these for fall crafts! Thanks for sharing! My experience with drying acorns was a nightmare- it was easier and cheaper for me to buy a big bag of fake ones — they look very real! LC I’m sorry you had that experience! That’s actually a great option as well. This is perfect timing for me, thanks! I will check out the painting part next. When I was a child, I wanted to make an ornament. But the acorns which I got were worm‐eaten!! However now, I know how to use acorns for making something. I’ll make an ornament with acorns!!! 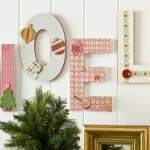 I love that idea Runa! Please share in the Facebook group!